Home ♦ Open Wheel ♦ Why you could be karting…right now. I’m going to start this article with a statement of opinion, but once you finish reading, you’re going to believe it to be the truth. Ready? Here we go. 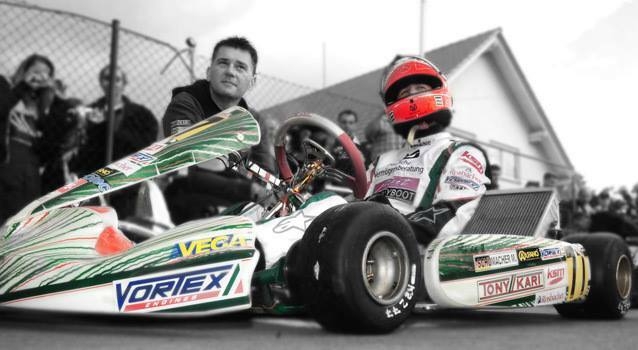 That’s great that Schumacher started in a race kart, but the important thing is that you can too. We’ve all heard that the rationale why people should start karting is that the majority of Formula One World Champions have started out there. Really though, that reasoning isn’t important to people like you and me. We don’t really care about that, because the majority of the world’s racers are grassroots drivers. Grassroots racers are always looking for the most affordable way to get seat time to develop our skills. In all honesty, there isn’t a greater tool to develop driving skills than being in a race kart. For the amount of time that you get in the seat, you’ll be hard pressed to find a sport more affordable to enter into than karting. Below are just three of the many reasons why you need to, and can get yourself into a racing kart. One of the most common challenges being involved in motorsport is the expense of it all. Every racer knows how difficult it can be to enter into a new class or series, even if it is just to test a vehicle for the first time. Although it’s not exactly cheap, a driver can get himself into an entry level kart at a relatively low cost compared to participating in a club race car. I’ll use a current entry level karting engine package that is available in the market today for a basic example; the LO206 from Briggs and Stratton. The four-stroke engine makes about 9 horsepower, and allows you to get up to 60 mph. The series rules require the engine to stay sealed, so you don’t have engine tomfoolery among competitors. The LO206 is most of the most affordable racing packages you’re going to find in motorsport. Once you include the engine mount and a clutch, it’ll cost you about $1100 dollars for a full engine package. Typically four-stroke karts do best on a used chassis, as its soft frame is more compliant for the low horsepower, so expect to pay about $1000 for a used rolling chassis. Most LO206 series require a control tire to keep costs down, and a set of MG Red tires are about $230 dollars. So, for $2300 dollars, you could have a competitive entry-level racing machine that allows you to enter in grassroots events all over the country. Alright, so let’s say that you throw in an extra $1000 for spares, oils, fuels and unmentionables. Try to find any other competitive racing that you can get started into for under $3500. Spec Miata? Not even close. Karting tracks offer ample seat time, which is so important in the quest to get faster. Another motorsports hurdle that all grassroots racers face, is the ability to find enough time on the track to practice. Track time is normally expensive, and most car-racing tracks typically only have certain times of the year available to practice. Karting tracks typically have longer seasonal calendars which they stay open, and practice fees are relatively inexpensive compared to even a HPDE track day. You’re looking at $60 dollars for a day of practice, compared to over $200 for a session in a car. Outside of club membership fees, karting typically doesn’t require any license fees in order for a driver to practice or begin competing at a club level. This can create a massive cost savings for those looking to enter the sport, and desiring for seat time, because you can get started right away. Speaking from experience, it can be incredibly frustrating to spend money working towards your competition license in car racing, only to not have the money to a run or rent a car to actually practice in. 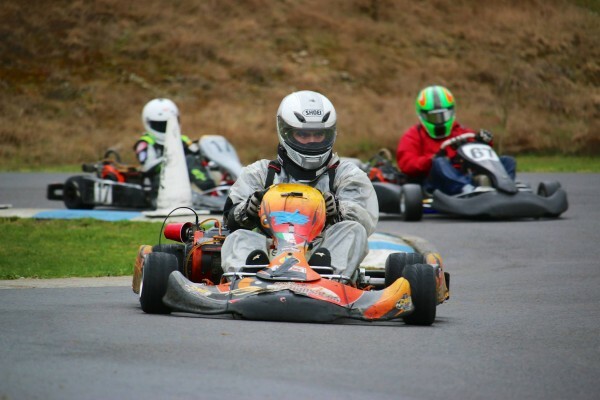 Typically kart tracks are run by local or regional karting clubs, whose membership fees help to keep the track open through a longer season than a car race-track. 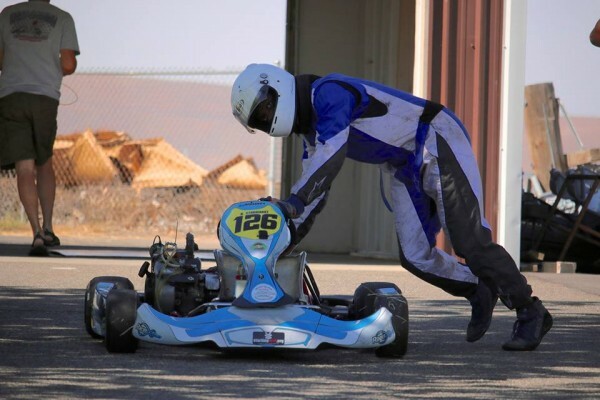 Karters can race through-out the year, while others have to sit still through the “off-season.” Karting has no off-season, so you can practice year round! 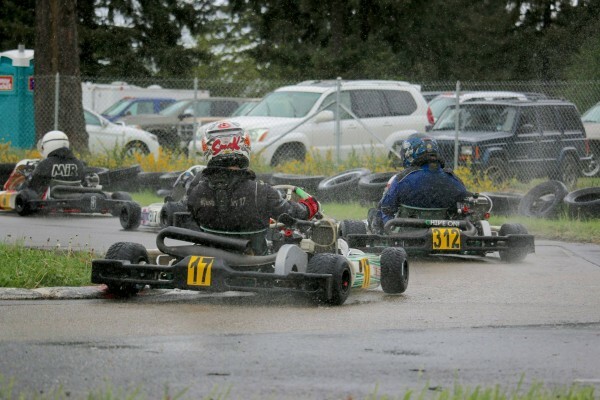 There is nothing like a karting battle in the rain, with your good friends. The karting paddock at a club race is generally a pretty fun place to be. Most people are just normal; karting clubs members who just want to get together and have a fun time at the race track. A typical club race can have a field sizes of ten or more, depending on the class that you enter, which gives you plenty of chances to refine your racecraft as you learn to race through the field. Even if you decided to spend most of your time just doing practice days, there are always people around who are willing to help you figure out how to set up your kart or how to improve your speed. Making yourself more competitive also helps them improve, so there is always someone at the track that you can learn from to get faster. In short, karting is a gold mine for getting affordable and effective seat time for the grassroots racer. It’s affordable cost, ample seat time and competitive field sizes for racing really gives you no reason not to get one. If you choose to transition to cars, you will be a more prepared driver, because the rate of which they go down the track will seem much slower, once you’ve spent some time in a race kart. Check out some of the karting videos on YouTube, and I swear you’ll get the bug to start racing. Photo credit to Jacob Janders. Take a look at his Flickr account here of some great club and regional racing photos. It sounds like kart racing is the dinghy racing of cars. All of the great big-boat sailors you see in the america’s cup honed their skills in dinghies. The cost of entry is similar too. Great article.